The Yowza Gravity Gym is an anti-gravity strength training machine that uses your body weight to simulate over 17 exercises. Compared to the bulky and extremely expensive gym stations at your local club, this is a very compact and lightweight machine. We were extremely impressed by the versatility and smart design of the Gravity Gym. For less than $1300, you can have a gym station in your home ready to assist you with a full body workout. The Yowza Gravitiy Gym was typically priced around $1,299. Body Weight Resistance – Instead of expensive and bulky weight-based resistance machines, the Gravity Gym uses your own body weight to provide resistance. It uses an easy-to-adjust electric dial so you can program the percentage of your body weight you wish to lift. The percentages range from 20-90%. The Gravity deck is assisted by two nitrogen cylinders. Safety Features – The Yowza Gravity Gym has a front Gravity Deck on which you can stand, kneel, or sit while performing your exercises. Two orange buttons on the platform must be engaged in order for the machine to move. In addition, there is a safety bar in the front that can be manually switched each time you step off to avoid injury. The seat pad is available as a separate purchase. It’s a good idea to go ahead and get the seat cushion as it allows you to perform many more exercise variations. Adjustable Height – There are five height levels that can be easily switched to accommodate users of different sizes. Plus, your type of exercise might require a different height setting. This was a handy option that worked well for our team members. Range of Exercises – The Gravity Gym provides exercises from gymnastics, cable resistance, and weight lifting categories. Over 17 different exercises are possible covering your upper body, lower body, and core. Switch the pulley locations with quick-disconnect clips. 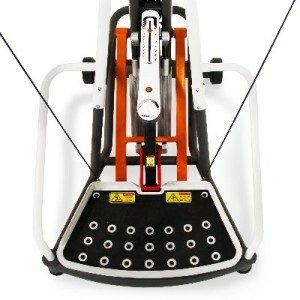 We were impressed with the smooth action of the cables and the effectiveness of the exercises. Size – This home gym is relatively light weight and has wheels for easy movement in your home. We found it easy to maneuver around the gym where we were performing our tests. We were really impressed with the Gravity Gym from Yowza Fitness. Based on the versatility of this machine, you simply cannot beat the price for a home gym system. 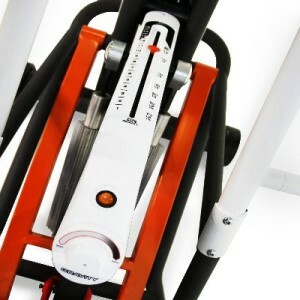 The gravity assist design allows for users to focus on proper form and repetitions with less risk of injury. We also liked the size of this machine since it does not take up a lot of room and can easily be rolled into a corner when not in use. The only downside for this machine may be its limitation on resistance levels. The Gravity Gym can be programmed to provide resistance ranging from 20-90% of your body weight. If your exercises require a weight greater than this, you may find the machine insufficient. Still, it should be well-suited for most users. An equivalent machine like this would cost thousands of dollars at a professional facility. 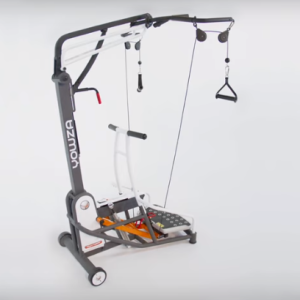 If you’re looking for a full body workout gym machine for your home, the Yowza Gravity Gym should be at the top of your consideration list. Yowza is out of business. The Gravity was a very new machine and few sold so doubtful you will be able find one.